Large scale natural disasters cause untold misery and massive damage to life, infrastructure and property. Such disasters, often categorised as geophysical (such as earthquakes, volcanic eruptions, tsunamis, landslides, snowdrifts and avalanches), hydrological (including floods, river and debris overflows), meteorological (hurricane, tropical storms, sandstorms, high winds, heavy rainfall), climatological (such as wild-fires, drought, extreme temperatures), lead to significant loss of life, damage to the living, human displacement and poverty and indeed to devastation of the foundations of cities, towns, villages and the countryside; and the associated damage to the infrastructure of roads, housing, buildings, bridges, communication systems and more. Victims are often trapped in collapsed buildings, without electricity, water or other means of communications. 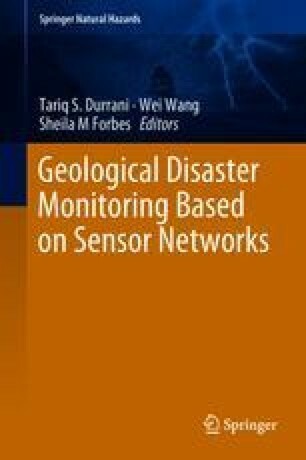 Thus the development and understanding of advanced techniques for disaster relief are of immense current interest, and there is a compelling need for effective disaster prediction, relief, and associated management systems and the development and understanding of advanced techniques for disaster relief are of immense current interest. Requirements for the enhancement of early warning and emergency response systems to geological disasters are of essential importance. To ensure speedy recovery of people and the protection of the national infrastructure threatened by natural disasters, real time detection and data collections are a necessary prerequisite. Threats become even more complex due to the evolution of geological disasters.